The first appearance of the uniquely innovative Visconti V-Bottle on this blog. Visconti makes a high-quality writing instrument, but what of its ink? 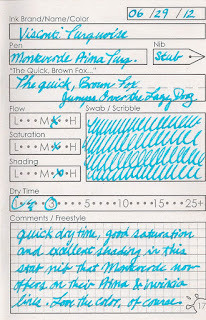 We explore Visconti turquoise using a nib that really allows the ink to shine - the Monteverde Prima Stub nib. 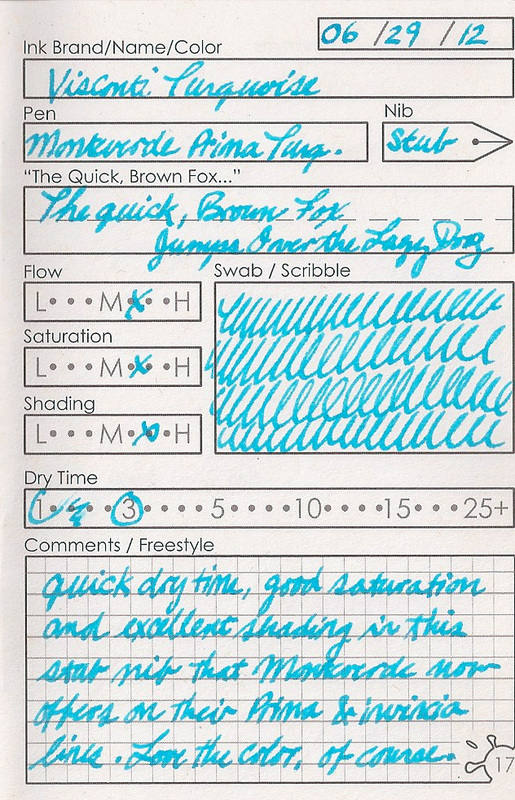 The turquoise is a bright, baby blue with solid saturation, excellent shading and a decently low dry-time, even with a stub nib. 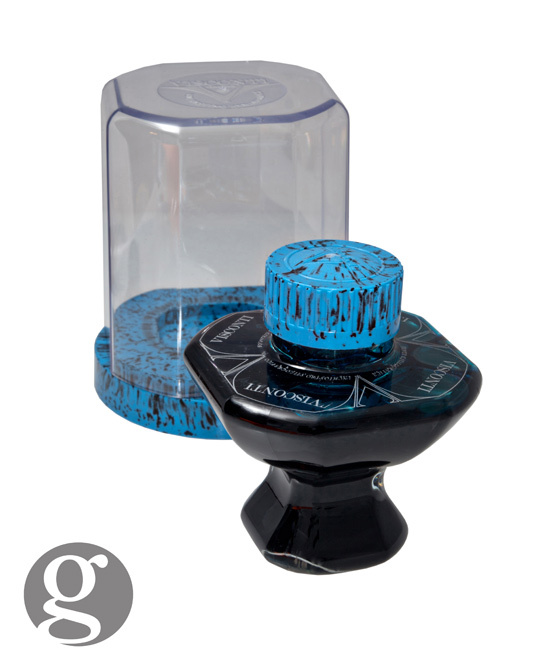 The V-bottle distributes the majority of the ink capacity towards the top two-thirds of the bottle, allowing for easier access to fill your pen. A great addition to any ink collection.